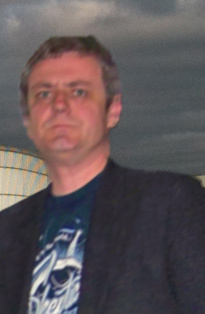 Richard Saunders, co-host of The Skeptic Zone, was released from Bolingbrook’s Clow UFO Base after his failed attempt to lift a UFO crushed 99% of his bones. Saunders was then taken to Clow’s medical facility and released after a few hours. Sources told The Babbler that Saunders’s loves his new body, and asked when this medical technology would be made available to the rest of the world. Saunders was at Clow to explain to the ambassador of the Martian Colonies that Power Balance Bands don’t use illegally obtained Martian technology. Saunders’s explained that Earth’s holographic bands have no special powers and rely on the placebo effect. Though the Martians have advanced holographic technology, even their devices can’t duplicate the claims Earth manufacturers make. As the skeptical ambassador watched, Saunders demonstrated the tricks used by some sellers of holographic bands and pendents. For the ultimate demonstration, Saunders asked if he could borrow the ambassador’s craft. Wearing a Power Balance Band, he was unable to push the craft and it’s mobile landing clamps. Saunders then asked that his assistant turn on a Higgs Boson inhibitor and point it at the craft. Higgs Boson inhibitors are used to reduce the mass of spacecrafts, thus allowing them to fly near the speed of light before activating their warp drives. Sources said that Saunders thought the device would reduce the weight of the craft, allowing him to lift the craft. Instead, the craft’s weight was unchanged, and Saunders was crushed under several thousand tons of alien steel. Investigators believe the inhibitor was sabotaged. Though they have no suspects, sources close to the investigation suspect someone from the Martian Colonies. According to several eyewitnesses, after Saunders’s was released, he told Clow officials that he now fully understood the importance of his efforts to rid the world of holographic bands. When finally reached for comment, Saunders laughed and denied ever visiting Bolingbrook.